LINDO, F/L Harold Lester (J4762) – Distinguished Flying Cross – No.103 Squadron – Award effective 16 June 1942 as per London Gazette dated 22 September 1942 and AFRO 1653/42 dated 16 October 1942. Born in Kingston, Jamaica, 6 July 1917; home in Northwood, Middlesex. Enlisted in Ottawa, 20 June 1940. Trained at No.2 ITS (graduated 15 August 1940), No.3 AOS (graduated 4 January 1941, No.2 BGS (graduated 15 February 1941), and No.1 ANS (graduated about 16 March 1941 and commissioned). Proceeded overseas 26 March 1941. Forced down and missing in 1941 but returned to Britain. Invested at Buckingham Palace, 4 December 1942. Killed in action, 15 February 1944, while serving with No.103 Squadron and holding Squadron Leader rank. Flight Lieutenant Lindo is a most experienced and dependable navigator. His efficiency and coolness in action have a fine influence on his comrades. During the many operational sorties on which he has been engaged he has faced bad weather and enemy opposition with an unconquerable spirit of determination to complete his allotted task. This officer joined the squadron a year ago. Throughout that time he has proved himself to be an observer of outstanding merit. His consistent, exemplary navigation and accurate bombing have set a high example which the other observers have been inspired to reach for. Being recognised as unquestionably the best observer in the squadron, he was appointed Squadron Bombing Leader, which post he has filled with enthusiasm and increasing efficiency for five months. Although this has given him little opportunity to go on raids he has continually asked to take part and has flown as observer with various pilots, producing extremely good results and being involved in many dangerous situations. His cheerfulness and efficiency in the face of danger and while under heavy fire from flak have been largely responsible for bringing these sorties to a successful conclusion. All his captains have spoken most highly of him and every captain is keen to have him as observer. Early on in his operational tour, Flight Lieutenant Lindo, with his crew, landed in the sea. His dinghy was depth-charged by an enemy aircraft before they were rescued. His coolness and cheerfulness under most trying conditions set a fine example to the rest of his crew. On another occasion his aircraft collided with high tension cables and caught fire. Flight Lieutenant Lindo acted with great coolness, helping the rest of the crew. Despite these two unnerving incidents, occurring at the start of his tour, he has remained most enthusiastic and keen to take part in as many raids as possible. More recently, when bombing Essen, the port engine of his aircraft failed over the target and the pilot was forced down to extremely low altitude by flak and searchlights. 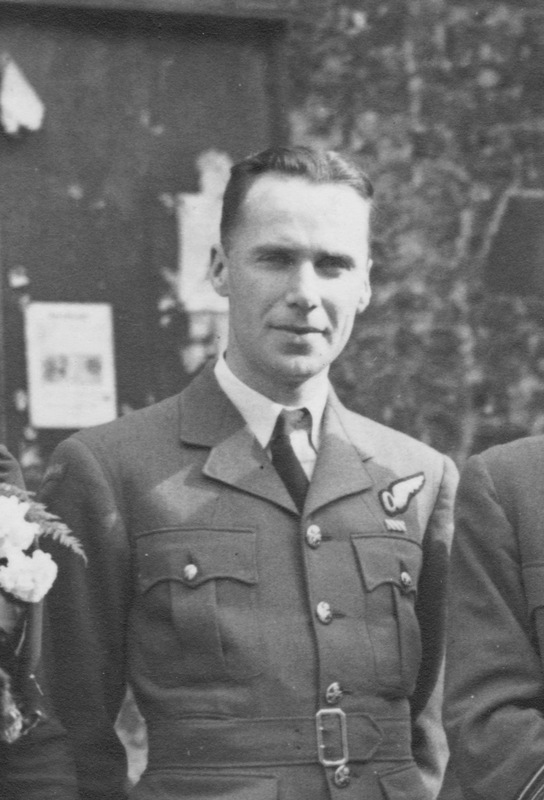 In spite of intense flak and great difficulties, Flight Lieutenant Lindo skilfully navigated his aircraft safely back to the nearest aerodrome in England, greatly assisting his captain to steer clear of defended areas by his skilful map reading on a very dark night. His skill, confidence and high example did much to encourage his crew and bring them and their aircraft safely out of an extremely dangerous situation. This officer’s fine operational record, magnificent example and unshakable enthusiasm and spirit fully merit the award of the Distinguished Flying Cross for which I strongly recommend him. This was refined to the following text for Air Ministry Honours and Awards Committee (shorter than the original submission but much longer than the published citation). Flight Lieutenant Lindo is an experienced and dependable navigator. His efficiency and coolness in action have had a fine influence on his comrades. During the many operational sorties on which he has been engaged he has faced bad weather and enemy opposition with an unconquerable spirit of determination to complete his allotted task. He has acted as Squadron Bombing Leader for five months. Although this has diminished his opportunity to go on sorties, he has continually asked to take part and has flown as observer with various pilots, producing extremely good results and being involved in many dangerous situations. Early during his operational tour, Flight Lieutenant Lindo was compelled to alight [with] his aircraft on the sea. Whilst afloat in the dinghy with his crew it was depth-charged by enemy aircraft before they were eventually rescued. On this occasion his conduct under most trying conditions was of great benefit to his comrades. On another occasion his aircraft collided with high tension cables and caught fire. Flight Lieutenant Lindo acted with great coolness helping the rest of the crew. Despite these two unnerving incidents, occurring at the beginning of his tour, his enthusiasm for operations remained undiminished. He survived a ditching in a Wellington in 1941. He was killed flying with Ken Berry in Feb 1944. 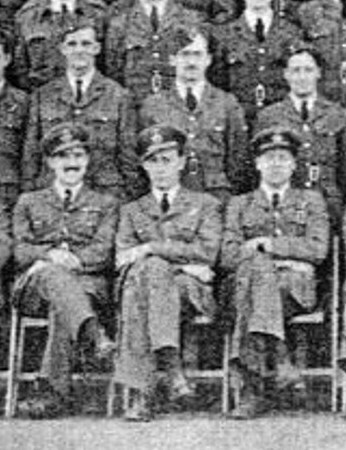 Detail of a 103 Squadron group photo taken about August/September 1941. P/O Lindo is seated in the middle. On the left is P/O “Taffy” Jones and on the right is F/L Arthur Roberts. I have just visited the Aviation & Warmuseum of Texel, Netherlands. Since I am related to the Carribean I decided to search on the Internet to learn more about this WW2-hero. So, this is when I discovered your website, caribbeanaircrew-ww2.com. I have read about Harold F. Lindo on your site. Although it is reported only that Harold F Lindo was killed in action… with no information about location of death. According with the record at the museum in Texel, his plane crashed on Texel and he is burried at Den Burg Texel, Netherlands. I just wanted to share this piece of information with you/your website. Harold L. Lindo instead of Harold F. Lindo.